If you think of garden design, you really want to think about introducing symmetry. You need to look at where the eye falls on from any angle of your garden and then see if you can create a symmetrical vignette.Here some more symmetry- wood storage.Note the two urns to the left and right. 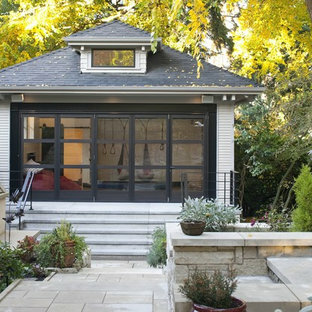 Design ideas for a traditional garden shed and building in Atlanta. Photo of a classic garden shed and building in Charleston. 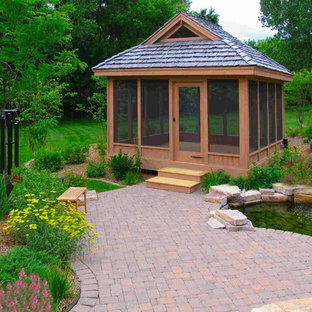 Design ideas for a traditional detached garden shed and building in Minneapolis. Classic Designs often work the best for a traditional style home set on a rural estate in Princeton NJ. For the dinning terrace a bluestone patio was installed with a brick inlayed rug. 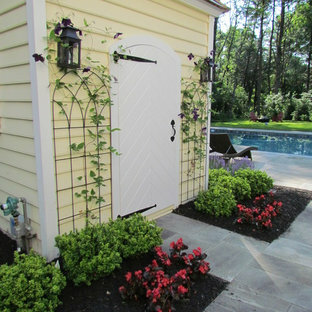 Plantings beds filled with perennials and flowering shrubs surround the patio and lead you down to the swimming pool. Built at existing grade to meet DEP regulations the swimming pool is the centerpiece of the back yard. The walls were installed with Pennsylvania Fieldstone and the pool patio is Blue/ Grey Sandstone. 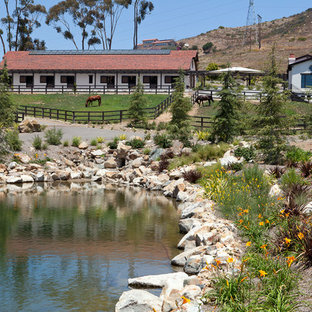 The project was collaboration between Harmony Design Group and Ronni Hock Garden & Landscape. Ronni Hock is also responsible for the photographs. 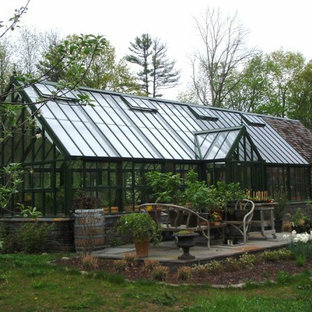 Hartley Victorian Grand Manor Glasshouse by Hartley Botanic Inc. Traditional garden shed and building in Boston. 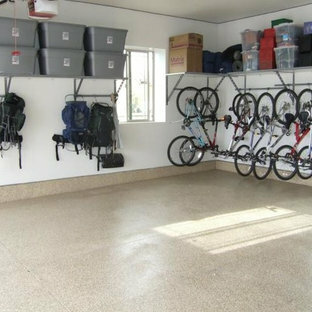 our garage shelving can hold 1000 pounds every four feet. Inspiration for a traditional garden shed and building in Grand Rapids. Traditional garden shed and building in Denver. 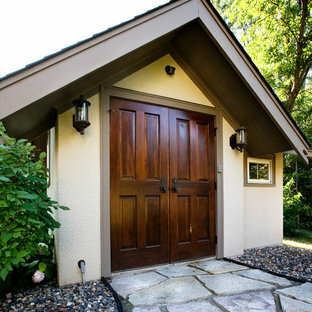 This is an example of a classic garden shed and building in Minneapolis. Just a few miles inland from the Pacific Ocean, this property is uniquely situated on an overlook that captures enviable views of the horizon and beautiful sunsets beyond. 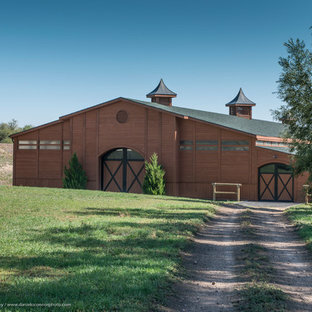 Outfitted with stucco, terra cotta, and wood, the 15-stall barn, used for hunter/jumper training, and 3,900 square-foot clubhouse evoke an early 20th century Rancho Santa Fe style but with contemporary detailing. Photo Credit to David Hartig. Photo of a traditional garden shed and building in Toronto. Design ideas for a traditional garden shed and building in Santa Barbara. Rough sawn pine pool house with sit up bar areas and complete outdoor kitchen. This is an example of a medium sized traditional detached garden shed in Toronto. 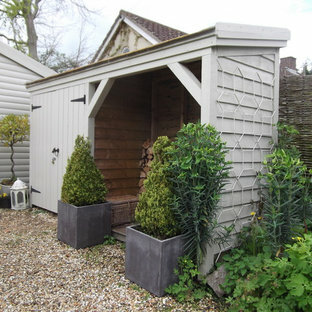 Design ideas for a medium sized traditional detached garden shed in Chicago. 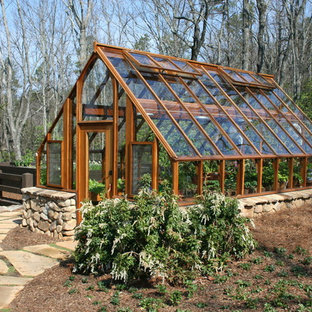 By Worthington & Shagen Custom Builder, Inc.
Inspiration for a classic garden shed and building in Philadelphia. Jacob Lilley Architects Location: Concord, MA, USA The renovation to this classic Victorian House included and an expansion of the current kitchen, family room and breakfast area. These changes allowed us to improve the existing rear elevation and create a new backyard patio. 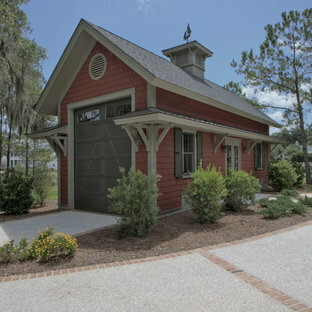 A new, detached two-car carriage house was designed to compliment the main house and provide some much needed storage. This Carriage House is a nice compliment to a larger Victorian home. Los Angeles, CA - Dynamic Garage Door designs, manufactures and installs carriage house style garage doors for today's living standards. As timeless and gorgeous as elements of the old world are they are often times not the most functional elements we want to make part of our lives today. With years of experience in the garage door industry, Dynamic Garage Door has fused the best of both worlds together. Reviving the classic beauty of carriage house doors and incorporating the amenities that our modern world has to offer, we have succeeded in creating highly acclaimed carriage house garage door designs that work with today's technology to blend in with our current lifestyles effortlessly with a flair of the old world elegance and fine craftsmanship. Your uniquely designed garage door is only a phone call away, let us show you what your home can look like today.